The late entrepreneur had multiple business ventures in numerous sectors. 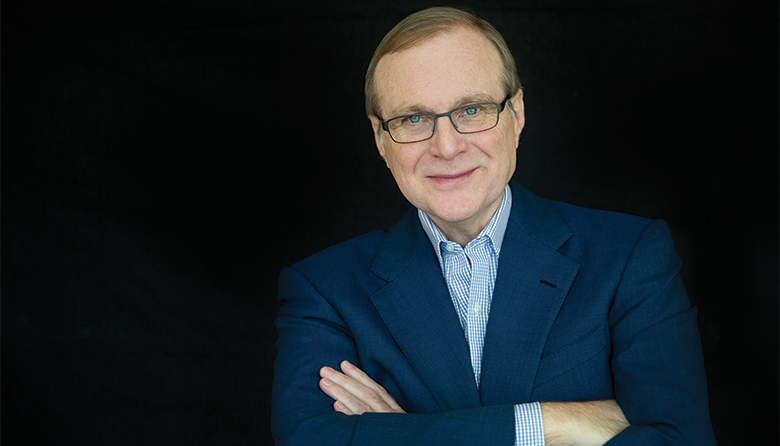 Paul Allen’s life made up in breadth and depth of activity what it lacked in longevity. With multiple business ventures in multiple sectors, other ventures in science, medicine and philanthropy, professional sports team ownership, and museums to share his passions and pastimes, Allen displayed little inclination to coast on his youthful success. To quote the preferred epitaph of the founder of the magazine that tracks the wealth of America’s richest, Malcolm Forbes, “While alive, he lived.” And in doing so, Allen continued a not terribly old tradition of how a billionaire is supposed to behave. The model of a modern billionaire is a largely American invention, not just because Americans have been phenomenally successful at creating wealth but because of how they did it. The New World did not have the Old World’s royalty, aristocracy or landed gentry hoarding wealth for generations. It’s striking how many of the great fortunes were created from scratch. What Americans also did was develop a set of expectations about what the ultra-wealthy were supposed to do with their money, in the process fueling the creation of educational, scientific, cultural and medical institutions that are the envy of the world. Much of the credit for developing the model goes to oil baron John D. Rockefeller, who gave away huge sums in a systematic, considered way. Seattle hasn’t been around long enough to produce what people elsewhere would consider Old Money, but it has more than made up for its late start. On the most recent Forbes 400 list of the nation’s wealthiest, this region can claim the top two positions (Jeff Bezos and Bill Gates), three of the top 14 (including Steve Ballmer) and four of the top 21 (including Paul Allen). Throw in some other names from the 400 list, including Gabe Newell (video games), Howard Schultz (coffee) and Ken Fisher (Vancouver-based money manager), and you’ve got a state with outsize financial clout and resources. The cutoff point for the list was a minimum net worth of $2.1 billion, so there’s likely a lot more serious wealth sloshing around in this state. Also notable is how many of the Washington residents on the list have moved on to the next phase of their professional lives. Bezos, 54 at the time the list was compiled, was by one year the youngest Washingtonian on the Forbes 400. While he’s done some branching out into other interests (Blue Origin) and made initial forays into big-ticket philanthropy, he’s likely to keep running Amazon for years to come. How long he does so, and what he does afterward, will signal whether he and others in the next generation of wealth follow the traditional model or build a new one. That new model might include direct involvement in politics. American billionaires have tended to stay out of the limelight. The Rockefellers produced a few governors and a vice president, Howard Schultz has the look of a man awaiting the call of an anxious nation to lead it, and Michael Bloomberg and Donald Trump made the jump from wealth to political office, but those are more exception than rule. How about building interplanetary wealth? Bezos and Elon Musk, like Allen, have a fascination with shooting for the stars, literally. Perhaps Bezos, ever the disrupter and innovator, will come up with an entirely new model, but it will likely still contain key elements of the traditions Paul Allen continued, especially an aversion to idleness. The desire to accumulate more wealth may fade, but the energy, curiosity and restlessness needed to build it in the first place rarely does.